If you’re hoping to get some writing time in over the holidays, don’t forget to keep your eye on the grammar ball! To help, The Expert Editor has released this fun and helpful infographic of ten common grammar mistakes to watch out for. Great writing doesn’t require perfect grammar, and occasionally grammar rules can (and should) be broken. A writer is better served being engaging, persuasive and entertaining, than a stickler for English rules. However, a solid understanding of grammar is essential for any writer. Common errors detract from the reading experience, and cast a shadow on the writer’s competence and concern for their work. If the grammar is poor, it also makes it much harder for your writing to be compelling. 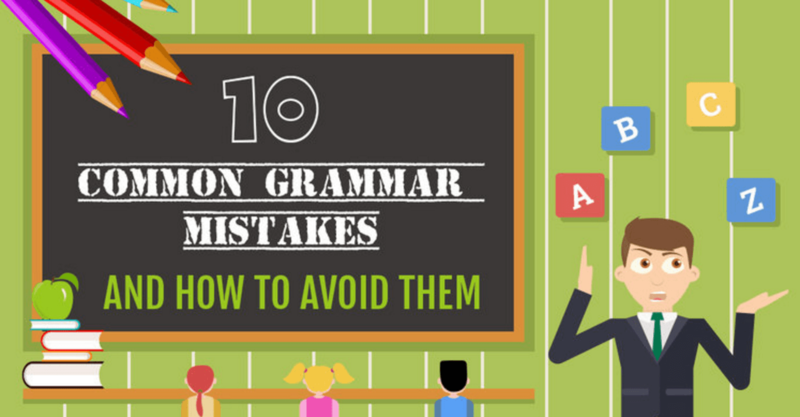 Here are 10 common grammar mistakes that writers make and how you can avoid them. Thank you so much for visiting and sharing, Linda. Happy holidays!